Despite how badly you may want - or need - a particular job, there are still factors that might make you think twice about accepting that position. As the unemployment rate drops to 5.4 percent, continuing its remarkable four-year decline, job applicants can start getting a bit more picky when it comes to deciding which companies to identify for employment opportunities. Some workers are doing just that. 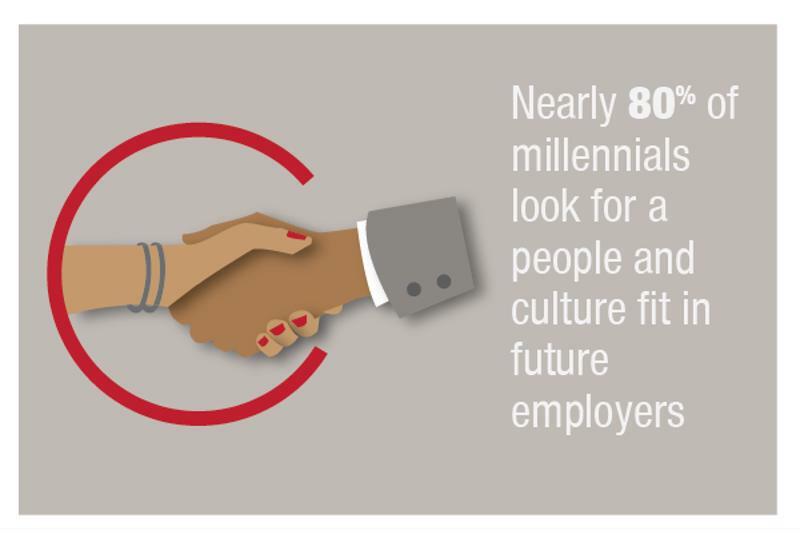 According to a recent Collegefeed survey cited in the Harvard Business Review, nearly 80 percent of millennials look for a people and culture fit in future employers, surpassing other factors such as career potential, work/life balance and compensation. When looking for right people and culture to work in, here are some signals to discern if the company you're interviewing at is the right fit for you. There are several ways the communication of a hiring manager can be a reflection of the corporate culture at that particular company. While using unprofessional language in a smaller, less formal setting can make the work environment more casual, it can be a signal of how the company treats its day-to-day business. Furthermore, if your contact person does not respond to phone calls or emails in a timely fashion, it can be indicative of larger problems. When you show up for your interview, try to pay attention to how employees interact with each other and with their supervisors. Forbes recommended looking for signals that show how other employees react to the hiring manager, since this could indicate a bad choice as well. In addition, even though you might not interact with other workers, you can also see if the offices are cluttered and disorganized, which can be a surefire sign of chaotic work environment. The purpose of an interview is to find the best applicant for the position.This requires the hiring manager to pay attention to you and the answers to your questions. If the interviewer checks emails, answers the phone or is unable to give you his or her full attention, chances are this could indicate a corporate culture of inattention. Similarly, if the hiring manager spends too much time talking about his or herself, or is unable to fully answer your questions about the position, it might also be indicative of larger problems with the company. While a future employer will most likely delve into a background or reference check for you to learn more about your history, beware of hiring managers that want to know more about your personal life or hobbies. According to LinkedIn, questions about relationship, marriage and children situations are off-limits. The same goes with religion and sexuality. If the interviewer insists on pursuing this line of questioning, chances are it will be a regular issue around the office. However, at True North, we like to get to know people. A big part of who people are cannot be separated from those who are close to them outside of work. Additionally, with technology the line between work and personal continues to blur. That said, your "gut" should not be ignored because of some "hard and fast" rule. Apply common sense liberally! You'll know what fits and what doesn't. While there many signals a hiring manager or boss can give off that indicate whether the company will be a good fit for you, ultimately it will come down to your gut feeling telling you if you the company will work for you while you work for the company.